The organic DHA supplement company life'sDHA released its National Index of Brain Health. In 2009, the organic DHA supplement company life'sDHA released its National Index of Brain Health. It is now looking to launch a similar index in 2011 to further raise awareness about brain health in the US. “It's important for people of all ages to understand that there are lifestyle factors that influence our brain health,” says Andrea Martin, manager of brand PR at life'sDHA. 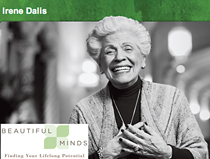 “Beautiful Minds: Finding Your Lifelong Potential” is a Web campaign that solicits citizens 55 and older (or those who love them) to submit essays or videos highlighting the extraordinary things they're doing with their minds and bodies. In partnership with the National Center for Creative Aging, the website beautiful-minds.com will accept submissions until May 13. From there, 20 semi-finalists will be chosen. Web visitors will be asked to vote for their favorite. Ultimately, 10 finalists will be chosen and receive $500 to donate to a nonprofit of their choice. The finalists will also be featured in a national photo exhibit, which will travel throughout the US through 2011 into 2012. AOR Carmichael Lynch Spong will manage the website and leverage a proactive outreach to traditional, online, and broadcast media outlets, including Examiner.com, AARP, and Boomer health magazines. The campaign will also engage social media platforms with a Facebook page, Twitter account, and its own YouTube channel. Success will be measured by how many entries are received, media placements and impressions, and traffic to the company's website.